You can accelerate mutual fund growth with a dividend reinvestment plan. 2. Can You Make Money When a Stock Price Is Stable? 3. How Do Dividends Affect Stock Price? Mutual funds often invest in stocks that pay dividends, and you can choose to reinvest those dividends instead of receiving them as cash. In other words, you use the dividends to buy more shares in the mutual fund. Reinvesting dividends offers you several advantages that can grow your investments over time and reduce your risk. Examine the ways dividend reinvestment can help you increase your portfolio. When you purchase new shares of a mutual fund, you buy at a different price than you originally paid. If the new price is higher, you buy fewer shares with the same amount of money. If the new price is lower, you buy more shares. This allows you to "average into" the mutual fund at different prices. Because you buy fewer shares when the price is high, you reduce your risk. If the price drops, you have fewer shares that you will lose money on. You also reduce your risk by buying more shares when the price is low. If the price rises, you will have more shares that increase in value. While there is no guarantee of which way prices will go, buying more shares at a low price and fewer shares at a high price can protect you by providing a low average cost. Mutual funds allow you to select the option of automatically reinvesting your dividends. You avoid making an investment decision when dividends pay out to you, and this automatically adds to your investment funds, and your number of shares increases. Automatic investing of dividends guarantees that you will periodically contribute to your investment funds. When you invest, you do not spend. If you took the dividend in cash, you might be tempted to spend it before you get around to investing it. When you develop the habit of reinvesting dividends, you focus on your future needs instead of your present desires. By allocating cash dividends to your future, you commit to a better financial condition down the road and avoid impulse buying in the present. Even small dividends can add up to big investment gains if you invest them regularly. Each amount you add to your mutual fund adds to the total number of shares you own. When share prices rise, you benefit from an increase in the value of more shares. Then you receive more dividends because of the additional shares, and when you reinvest the additional dividends, you get even more shares. This cycle adds up to powerful gains over time. 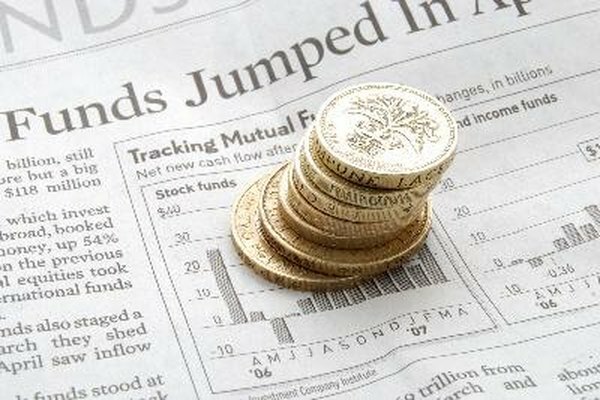 What Kind of Mutual Fund Can You Add Money to Every Week?